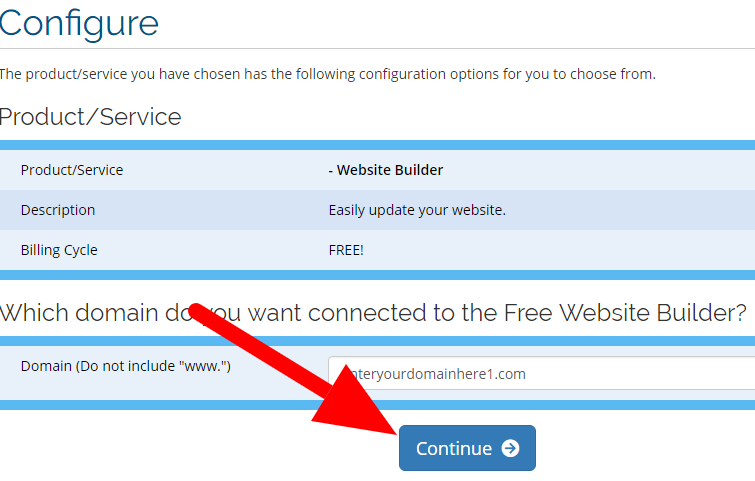 This tutorial will show you how to set up the domain name and web-hosting for your website. Alternatively, if you'd rather see this tutorial in video format you can watch it here: How to Register Your Domain Name & Set Up Web-Hosting Video Tutorial. The domain name (also called the web-address) is the thing that people type in to go to the website. 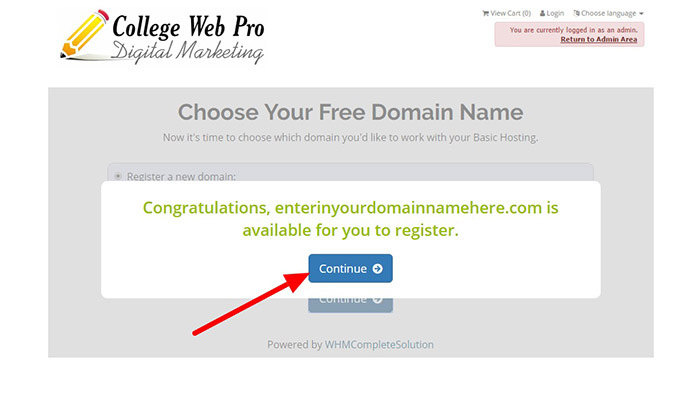 For example, my domain name is CollegeWebPro.com. Web-hosting is online storage that holds the files that make up your website. When someone types your domain name into a web-browser, it displays the files stored on the web-hosting. You need both of these things set up (and connected) to have a working website. 1. 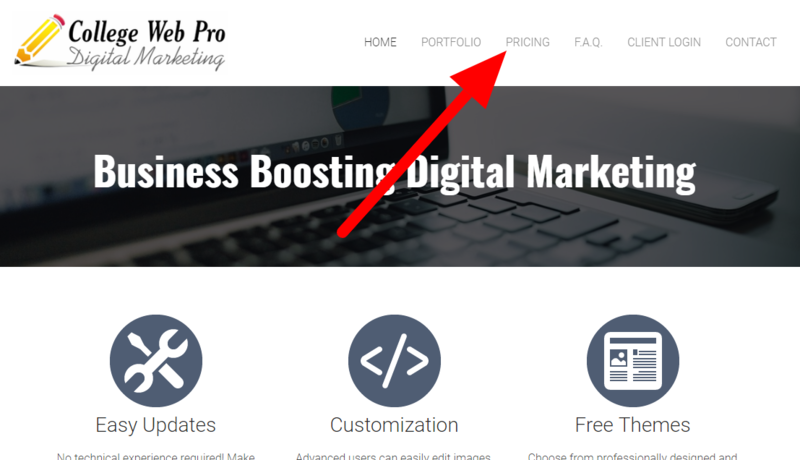 Go to CollegeWebPro.com and click on PRICING. 2. Select $9.95/month Sign Up Now. 3. 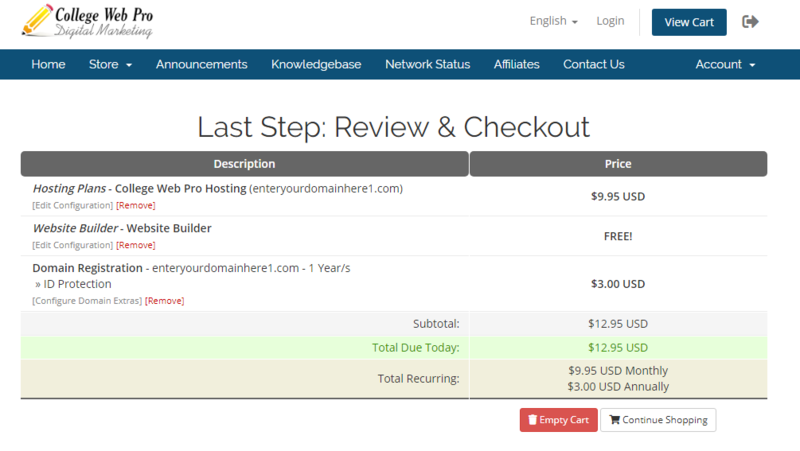 On this page, if you've never registered the name before select Order Hosting Account With A New Domain Name. If you've already registered the domain somewhere else but you want to transfer it to College Web Pro, then select Order Hosting Account With An Existing Domain Name. 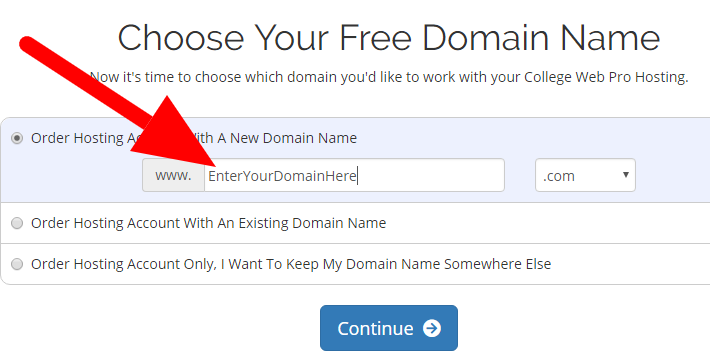 If you've already registered the domain name somewhere else and you want to keep it with the current registrar (not transfer the domain but just connect it to College Web Pro) then select Order Hosting Account Only, I Want To Keep My Domain Name Somewhere Else. If you've already registered the name and you're not sure whether to transfer it or keep it with the current registrar, my advice is to transfer it. 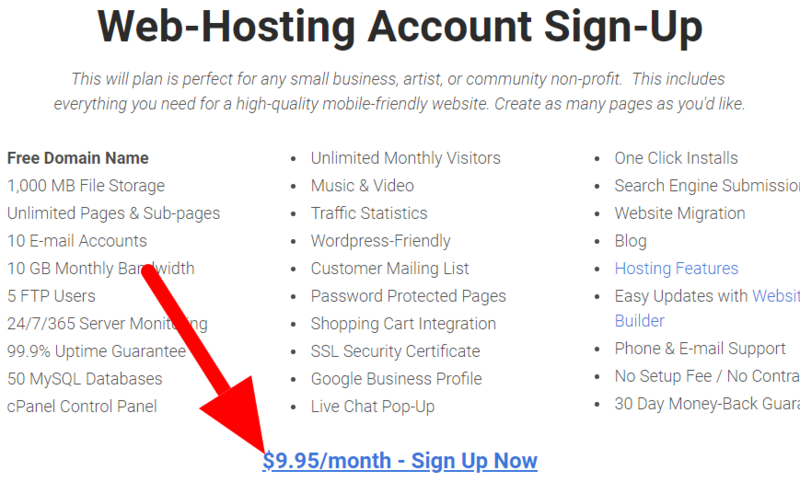 This way 1) everything will be in one place 2) you don't have to pay every year to keep renewing it (because every hosting plan comes with a free domain name) and 3) you will still own the domain name. Type in your domain name. It doesn't matter how you capitalize it. Don't type in "www", any punctuation, any extra spaces, or the extension (.com, .net, etc.). You should select the extension from the drop-down menu. 6. After you register a domain name, your name, e-mail, and phone number will go into a public database called WHOIS. This database is used by marketers so you may receive some spam e-mail after registering the name. To prevent this spam, leave the ID protection checked to pay an extra $3. If you don't care about a few pieces of spam and you'd rather not pay the $3, you can uncheck this box. 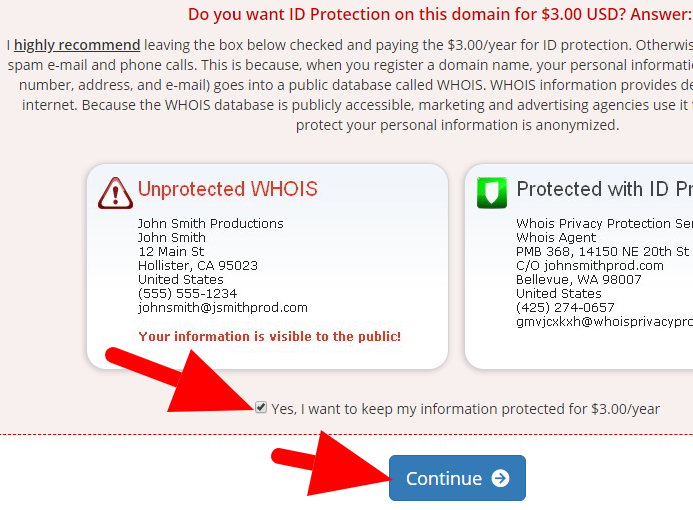 I recommend purchasing ID protect. 7. This is what your shopping cart should look like if you're registering a new domain name and you enabled the $3/year ID Protection. If you already registered the domain name somewhere else or you didn't opt for the ID protection it might appear slightly different. 8. 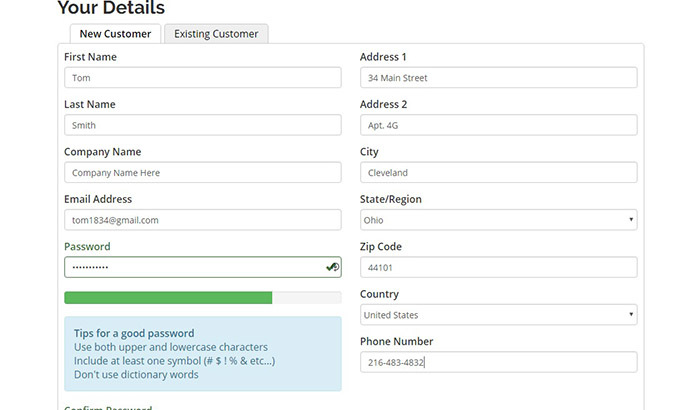 Enter in your customer details and choose a password. 9. Leave promotional code blank. 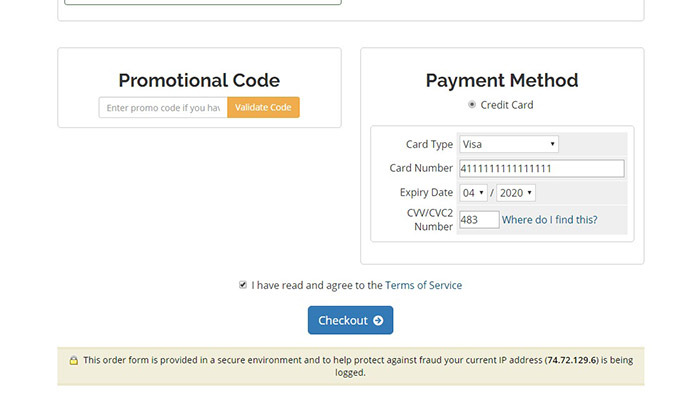 Type in your payment details, agree to the terms of service, and click Checkout. 10. Check your e-mail. In a minute or two you'll receive a confirmation e-mail. 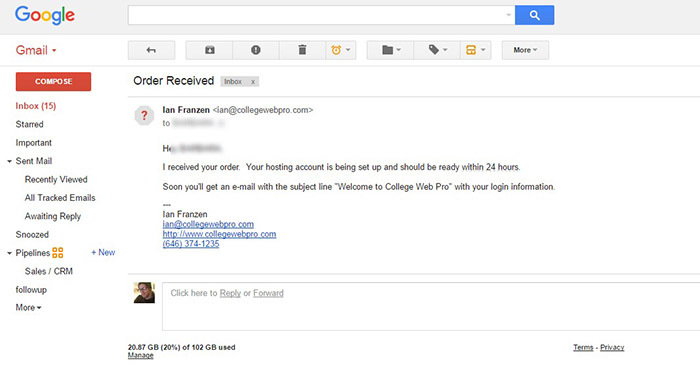 Then, 12-24 hours later the hosting account will be set up and you'll receive an e-mail with the subject line "Welcome to College Web Pro" that contains all your login information.